Proper etiquette demanded not only seating persons by their rank, but addressing them correctly. If one not of the “manner born” managed to travel in the highest circles, one slip of the tongue could betray one’s formerly common social status. As owners of a grand house like Downton Abbey, the Earl and Countess of Grantham would entertain visitors quite often, and knowledge of the correct forms was vital (particularly for the Countess, who is American by birth). 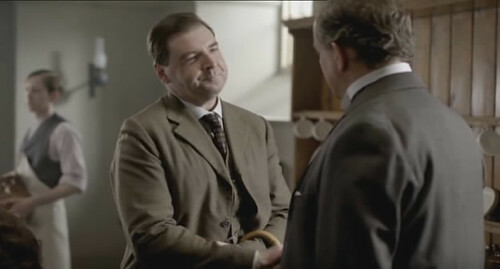 Bates, Lord Grantham’s new valet, would address his employer as “My Lord” or “Your Lordship”. 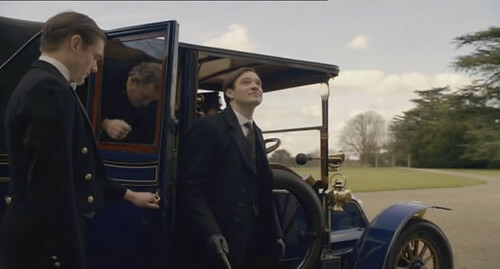 The Duke of Crowborough would address the earl as “Lord Grantham”. 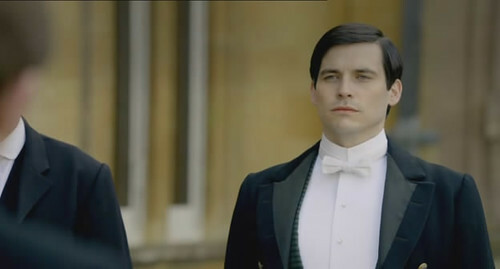 The countess would address her new guest as “Duke”, and he would address her as “Lady Grantham,” since they are of equal social status. For more information in proper forms of address, visit this page on my website. Everyone titters about books on the correct way of addressing titled people etc. But it was just the way people learned to behave nicely in a new social group. Noone wants to be humiliated, do they? If someone eats dinner in my house and cuts up their food first, then transfers the fork into the right hand for the rest of the meal, I will think they are a] foreign or b] not well brought up. Same with knowing in advance about clothes, titles, food, alcohol, dancing and all other social behaviours. People need to know “how things are done around here”. 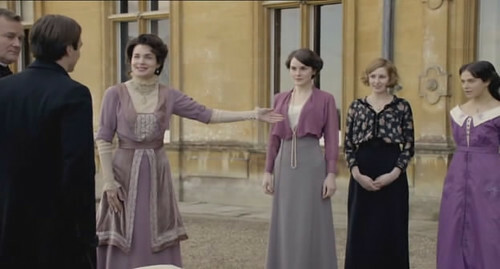 Even though it would be proper for Lady Grantham and her daughters to address the Duke as Duke, I still found it a bit jarring to the ear during the series. It just sounded strange, but then I don’t know that many dukes! It jarred my ear, even though I knew of this etiquette! What if a footman had a particularly close relationship with a duke? Would he still be expected to address him as “your grace”? Because that would be awkward!